Marzie's Reads: Blogaversary, Day Four: Seanan McGuire Ghostroads Books! Even though I usually buy copies of her work on pixel or in audio (some of the rarer stuff I've bought on paper), after hearing about the piracy I was determined to buy paper copies of her Ghostroads books about Rose Marshall, the new edition of Sparrow Hill Road and her new book The Girl in the Green Silk Gown, as well. Like many of her fans trying to counter piracy losses, I figure that adds to her sales figures for the new book. And I'm offering them to the lucky winner of this giveaway! 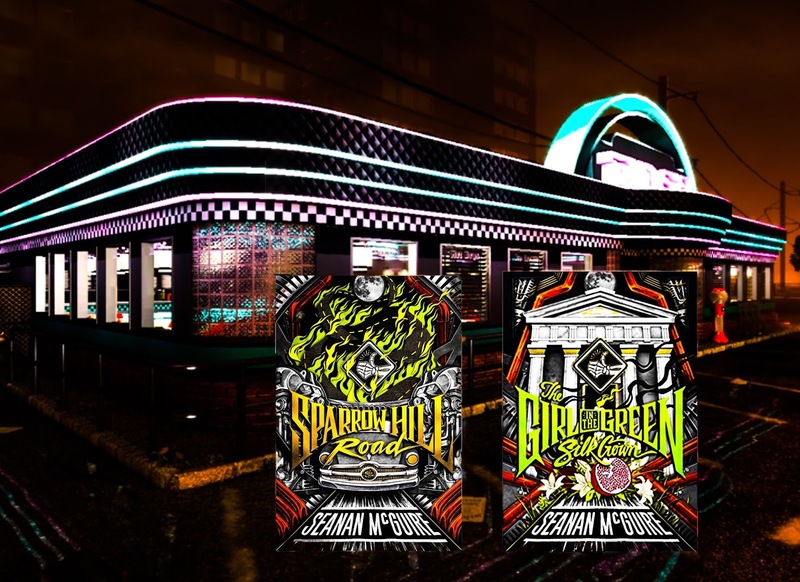 Sparrow Hill Road and The Girl in the Green Silk Gown are about a hitchhiking ghost, Rose Marshall, whose story borders on the edges of McGuire's Hugo Award finalist InCryptid series. Rose appears occasionally in the InCryptid series, as does a kinda-sorta friend of Rose's, Mary Dunlavy. Rose is a great character who has been to, um, hell and back. /snickers/ This is a great set of books and I hope her publisher knows that we want more. 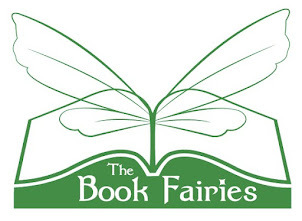 You can find my reviews of the books here and here. To enter this giveaway, comment below. This giveaway is open to those in the USA and Canada. If you reside outside those two countries but you would still like to enter, please let me know in your comment that you are willing to pay all postage above US$6.50 to receive these books. You should be following Marzie's Reads on Facebook because that's where I'll be announcing the winner and how you will send me your address information. For extra entries, follow Marzie's Reads on Twitter and comment on the Tweet about this blog post. For an extra entry still, retweet that Tweet. This giveaway is open until Friday, July 20th at 11:59 pm EDT. These sound amazing! 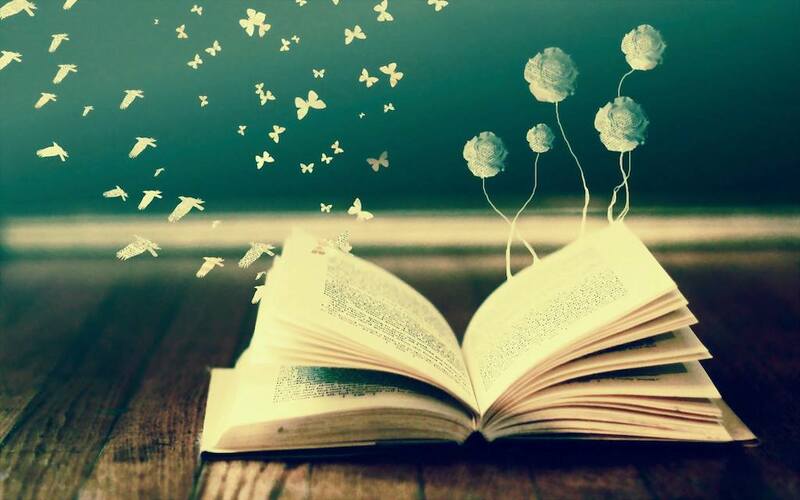 Definitely want to read! I loved the first one, even though I don't like ghost stories and I'm sure the second is even better. This is such an amazing thing you are doing! Seanan is an amazing author and this is the o my series I haven’t read yet! The covers are SO PRETTY. Unicorn Empire did an awesome job. I'm assuming you're Morticia Hill? You are the winner! Please message me through Facebook with your mailing address. The Feed series was my intro to her, been hooked ever since. I worship the literary altar of Seanan McGuire aka Mira Grante�� I am grateful that she is such a prolific writer. She almost always has something ready for me to read!! !